Greg Hardy on dealing with public criticism: "I'm not here to win people over, I'm here to win fights"
Greg Hardy’s intentions are not to be mistaken. 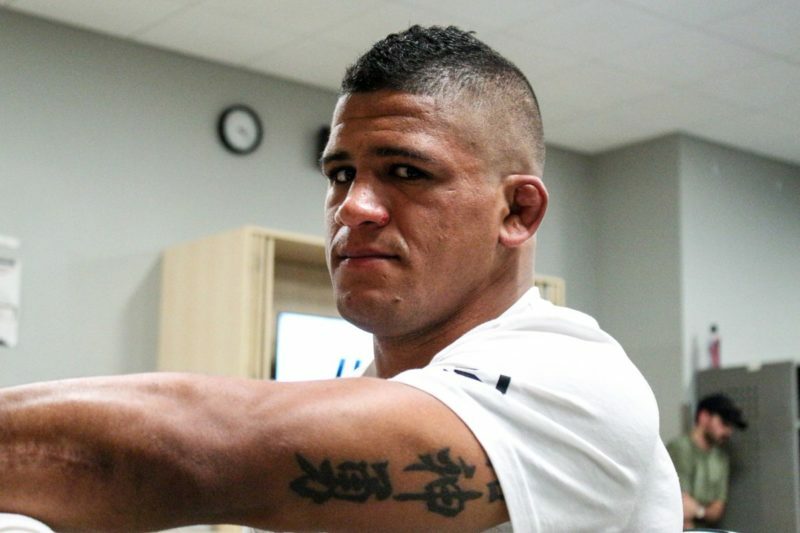 The former NFL star is not at all interested in winning a popularity contest; he’s solely focused on winning fights and being the best mixed martial artist that he can be. 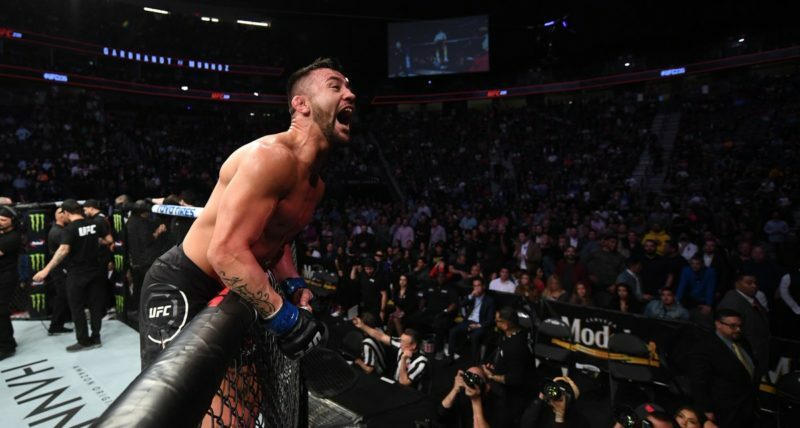 Hardy (3-1) made his UFC debut in January this year, appearing in the co-main event slot of the first-ever UFC on ESPN+ fight card. 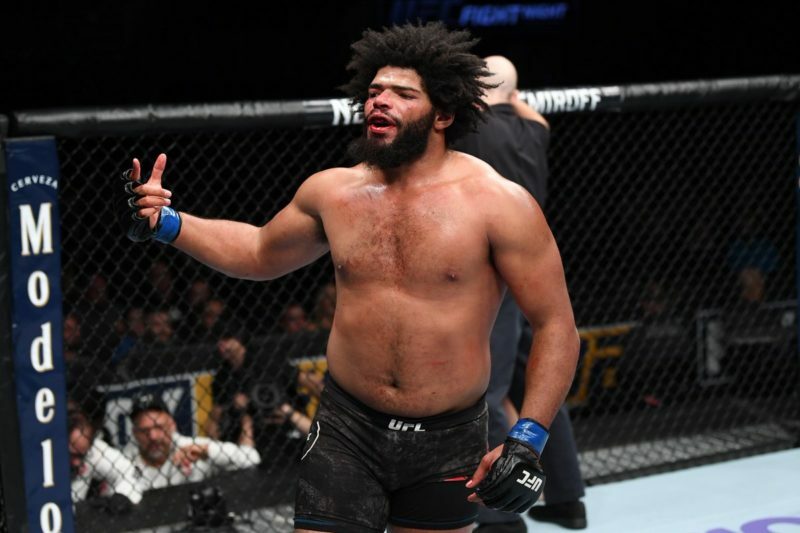 It was supposed to be a breakthrough moment for Hardy, who was stepping into his bout with Allen Crowder after three incredibly quick knockout victories. As such, the bookmakers regarded Hardy as a heavy betting favorite for his debut fight with the promotion. However, Hardy was dragged into the second round for the first time in his short career and made a crucial mistake. After perfectly defending a takedown attempt from Crowder, Hardy then rammed his right knee into the side of his grounded opponent’s head – a technique that is illegal in mixed martial arts competitions. Crowder was unable to continue fighting, and Hardy was disqualified from the bout. Speaking with Michael Fiedel of The Body Lock, Hardy explained that the mistake was mostly a result of fatigue. Despite the unfortunate ending, Hardy still feels as though he has extracted plenty of value from his debut with the promotion. 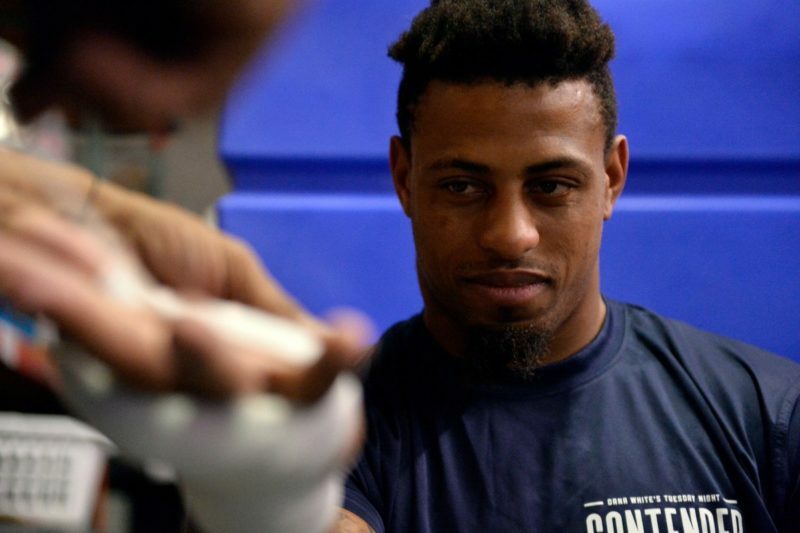 Greg Hardy will have an opportunity to get his first win in the UFC on April 27. He’s scheduled to face Dmitry Smolyakov (9-2) in a three-round bout at UFC on ESPN 3. Smolyakov will be returning to UFC competition for the first time in 27 months. The 34-year-old Russian first joined the UFC in July 2016 and proceeded to lose his two initial bouts with the promotion. He most recently competed at Kaliningrad Challenge, a regional mixed martial arts promotion in Russia, where he returned to winning ways with a first-round kimura submission victory. Hardy’s entry to the UFC raised the eyebrows of many fans around the world considering his previous involvement in a domestic violence incident in 2014. The mere fact that Hardy was given a platform on Dana White’s Tuesday Night Contender Series, long before even officially joining the UFC’s roster, was enough reason for many critics to speak out. When asked about his controversial past, Hardy shared that he isn’t interested in discussing that version of the past. Regardless, fans continue to be reminded of Hardy’s past. When asked about how he is perceived by the public and what steps he may take to win critics over, Hardy explains that winning people over isn’t a priority of his.